The new Google Photos is a great way to keep your precious images safe and free up space on your mobile device or computer. I created this tutorial based on the questions from the Google Photos Help Forum and Google+ Help Community. When you play around the Google Photos, you’ll see that in many places you can manage the photos you have uploaded: Either copy them to albums, delete or download them. I took a photo with my Android Nexus 5. I then went to see it in Google Photos app. I tapped the photo and tapped the trash / bin: It also disappeared from Device folders (Camera)! So deleting a photo from the main Photos stream will delete it everywhere. Tapping the 3-dot menu allows me to only delete the device copy from the Camera, but the safest place is to go to Device folder and delete it from there. Sign out of the Photos app, delete the online copy and sign back in the Photos app. Take a pic and test it yourself! The Google Photos app was announced at the Google I/O keynote on the 28th May 2015. Things have changed quite a lot, especially the editing (create Stories from scratch) and sharing. You can share directly to a social network, or choose Get shareable link to send someone a link. The desktop functions very much like the mobile app. Now it is very important for you NOT to delete any photos unless you are very sure of what you're doing and where you are deleting them from. Remember: All your Auto Backup photos and creations are private and visible only to you until you decide to share them! Chromebooks will lose the Google+ photos app on the 21st July 2015. Google will retire Google+ Photos starting 1st AUG: First Android and then Web and iOS version. 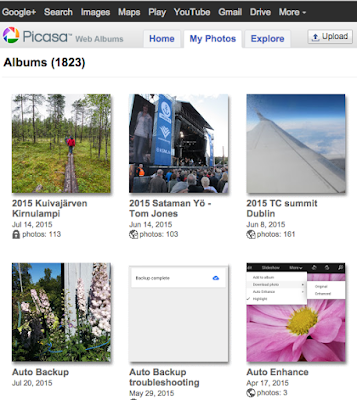 Find your Photos from posts album in Picasaweb, it doesn't exist on Google Photos. 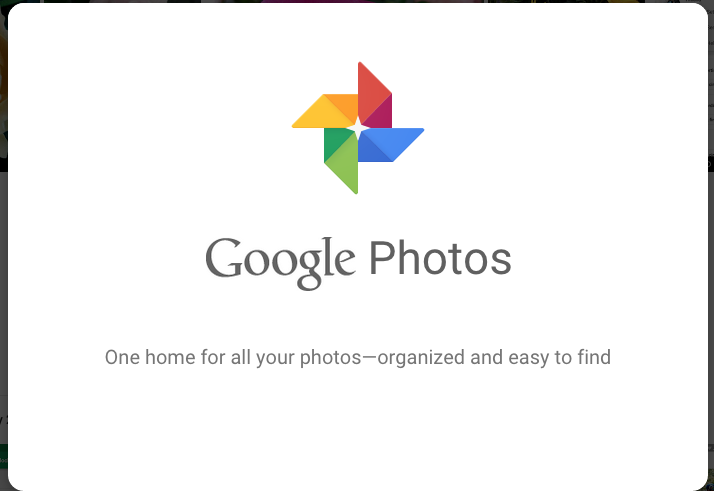 I'm sure there will be more development to Google Photos but at what point? A year from now? Make sure to send Feedback to Google with your wishes and concerns. 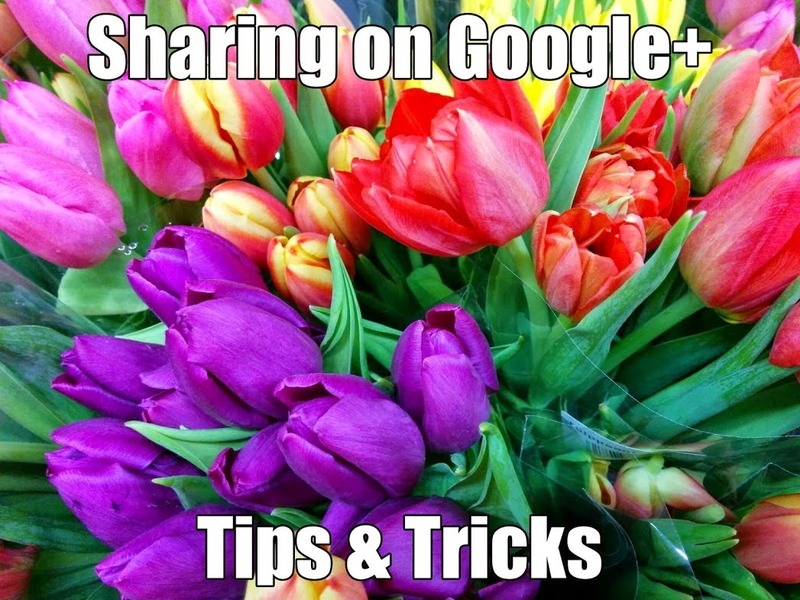 When you post on Google+, you can share things you like, or start a conversation with other people. When you share, you’ll choose who can see your post. For example, you might want to share an article with everyone in your circles, but share a photo of yourself with only your Family circle. When you share something using Google+, you can share it publicly, with your circles, with individual Google+ users, or with email addresses. And of course into Communities that you are a member of. If you share with others using an email address, they'll get an email that includes either the content you shared, or a link to your content (unless they've opted out of getting such emails). If they share the email itself or the link with others, people you didn't directly share with may be able to see your content. Some features on Google+ require that all users have a Google+ profile, for example the Communities membership. The screenshots are from a desktop using Chrome browser. 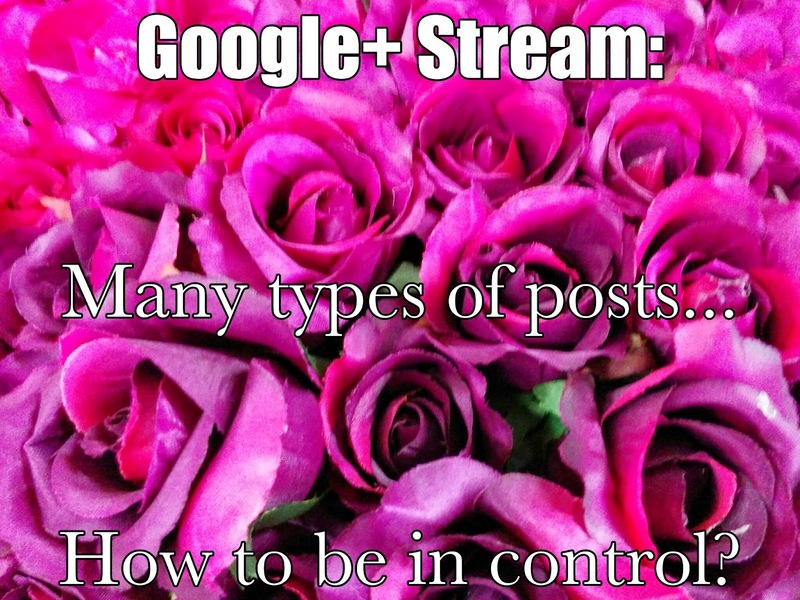 When you see posts in your Home stream, there may be several different types of posts. Relax, Google+ is just evolving! There is an almighty uproar about Google+ - again. 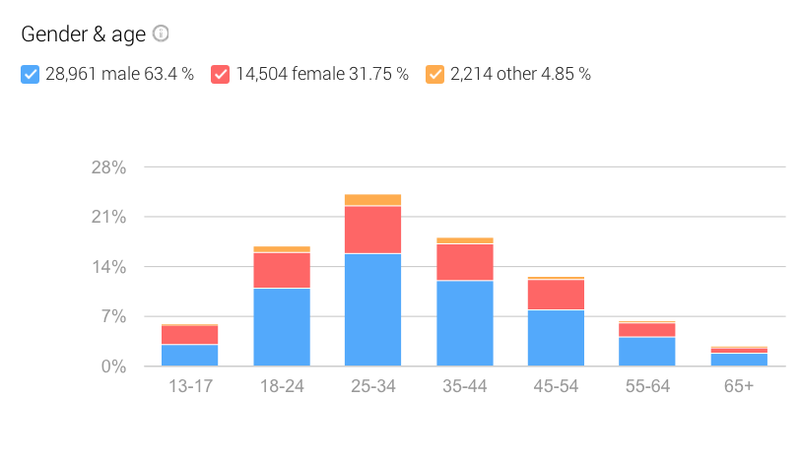 The tech publications are having a field day collecting clicks as Google+ users and the great public try to separate the chaff from the wheat. Have something to say, and want the world to hear it? Well, with Hangouts On Air, you can share and record your live discussions and performances with everyone. - Broadcast a hangout: Invite circles or individual people to join you in a hangout, then broadcast it to the world. A live player of your hangout will be posted to your Google+ Home page and YouTube channel. - Edit and share the recorded Hangout: Your hangout will be recorded as a public video. The recording will be available on your Home page once your hangout has ended. You'll also be able to edit the recording when the hangout is over and your post (and the video URL) will automatically be updated to show the edited version. Editing on YouTube is only available on videos shorter than 2 hours. You can download longer videos to be edited on your own computer. EDIT 24.07.2015: Looks like there have been some changes. See this article from YouTube Help Center and Google+ Help Center about Hangouts on Air. With the launch of Lollipop, the Google+ Photos app will replace the Gallery app for the following Nexus devices: 4, 5, 6, 7, 9 and 10. 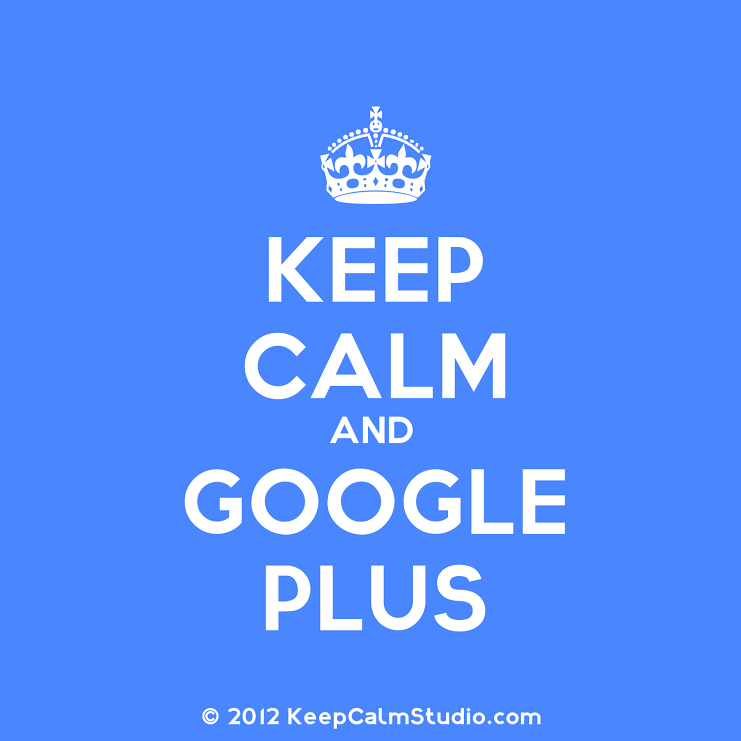 Users do not need a Google+ account or sign-in into Google+ in order to use the Photos app. Why the change? As you know, Google is continually improving the experience on Google+ Photos, and now for Nexus users, they’re consolidating photo viewing and managing to a single app for a better photos experience, plus some additional features, such as Auto Backup, if users choose to sign in to Google+. 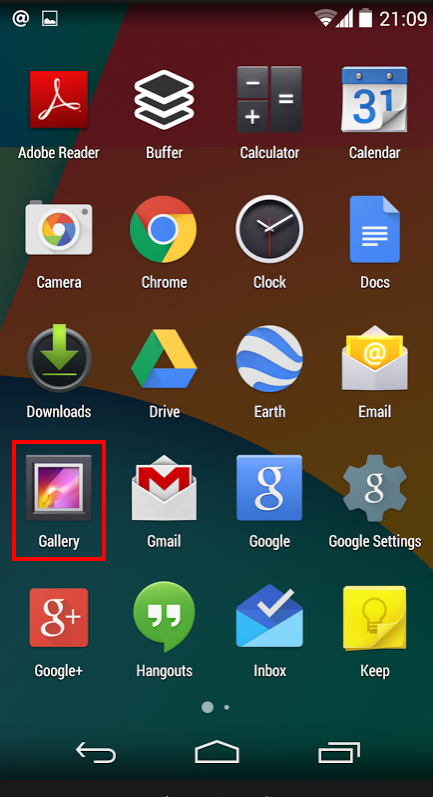 Gallery app is available only for devices running Android 4.2 to 4.4. If your device is running Android 5.0 or higher, use the Photos app to manage your photos. I've been searching Google+ for tips on how to deal with Trolls on your comments and posts. 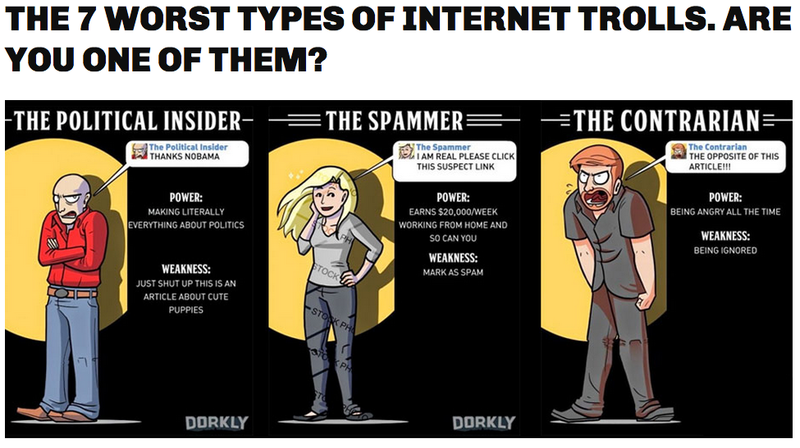 Dealing with trolls is one of the costs of participating in social media. These are the folks who combine a strong opinion with a lack of knowledge. A handful of inflammatory and negative comments can neutralize dozens of positive ones. Here are the top twelve signs that you're dealing with someone who lives under a bridge. Google+ is 4 years old already! The Google+ Project or Google Circles launched on 28th June, 2011. Google+ is an essential part of my business, with other Google tools. They've come a long way since. That’s the Google+ project so far: Circles, Sparks, Hangouts and mobile. We’re beginning in Field Trial, so you may find some rough edges, and the project is by invitation only. But online sharing needs a serious re-think, so it’s time we got started. There’s just one more thing—really the only thing: You. Google is improving the user experience for business pages, check out these desktop updates! Google+ pages provides businesses, products, brands, and organizations with a public identity and presence on Google+. You can also create a Page for your band, pet, fan club, sports team, kid's camp, event or anything that is not against the Google Terms of Service - or user rules and principles. For simplicity's sake I'll go on writing about "your business". Google+ pages interact in the Google+ world similar to the way that regular Google+ profile owners do - they can add people to circles, edit their profile, share things in Google+, +1 comments and photos, and create and join Hangouts and Communities. But they’re not entirely the same, especially since this update.